Compared to the many mystery novels published yearly in English, there seems to be comparatively few translated from Japanese. 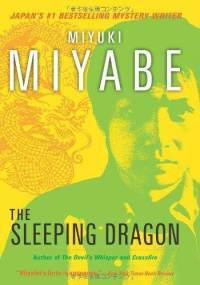 One example, The Sleeping Dragon, by Miyabe Miyuki-san, was originally written in 1991, but only translated and published into English in 2009. However, I didn’t notice this until I looked at the publishing dates, showing just how fresh her writing really is. The Sleeping Dragon is many things. On one level, it’s a mystery story, about a series of threatening letters that escalate, with two psychic boys helping to solve the mystery. On another level, it looks at whether people with different abilities (namely Shinji-san and Naoya-san) and how they deal with them. And through the eyes of the cynical journalist Kosaka-san, we get a glimpse of the cynical side of life in Japan. Actually, the story is simple. When I finished reading the book, I realized that it could be very simply summarized into a few sentences. 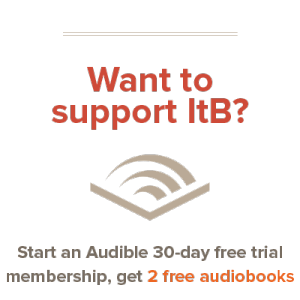 However, that doesn’t cover the scope of the book. This bears a resemblance to Arundhati Roy’s The God of Small things, as the books are very similar, but are magnified in such a way that it manages to cover many issues. I realized that the title of the book may be off-putting to some, since we tend to associate the dragon with satan. However, unlike the Western dragons, which are portrayed as satanic, Asians tend to think of Dragons as deities (such as Kings of Oceans) that are fairly neutral. In terms of this book, the only reference to dragons occur in the last for paragraphs, three of which are one liners and can be left out entirely without diminishing the book in any way. I would recommend this book to anyone looking for something different to read, especially if you like mystery novels. It’s my opinion that Miyabe Miyuki is under-appreciated compared to her other contemporaries such as Haruki Murakami. Hmmm, this sounds interesting. I haven’t really read any Japanese literature, but Sleeping Dragon looks like something I might enjoy. My brother probably would, too. Is there is objectionable content (i.e. language, sexuality, mature themes) to be concerned about?